(Newser) – Apple has released figures on its Apple Renew recycling program, and it's clearly paying dividends. Out of nearly 90 million pounds of electronic equipment it recovered last year, 61 million pounds were recycled, Apple reports. Specifically, it reclaimed 23 million pounds of steel; 13 million pounds of plastic; 12 million pounds of glass; 4.5 million pounds of aluminum; 3 million pounds of copper; 6,600 pounds of silver; and 2,200 pounds of gold. That amounts to $1.7 million worth of silver, $6.5 million of copper—and a whopping $43 million in gold, reports Quartz. We used to part out old IRS mainframes. A local contractor wanted all of the big transformers and fans so we sold that to him. A rack maker wanted all of the old cases and stand up racks. We stockpiled the old wires until we could take a truckload down to a company that specialized in stripping off the pvc and salvaging the copper. We sent the mainboards to a recycler in California who mined all of the precious metals. The last system I parted out like that was from a college who scrapped a Silicon Graphics mainframe. What would have been considered a real supercomputer it had less computing power than my laptop when we scrapped it. I have an iPhone from 2008 in my junk draw. Wonder what it's worth? The camera on it sucked from day 1. 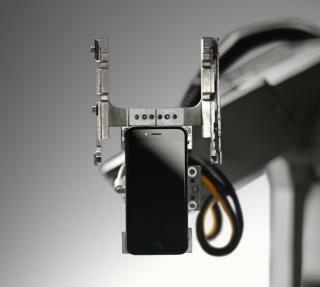 "In March, Apple unveiled an experimental bot called Liam, which can disassemble an iPhone in 11 seconds and sort its parts for recycling." Robots and automation are taking more jobs from Americans than the Chinese and Mexico combined. I wonder if Trump will deport them also to bring jobs back? There will never again be enough jobs to cover our ever increasing population due to technology doing more and more of them. A sad fact that nobody is looking at.